Today, the town of Moshi, Tanzania, exploded with activity as athletes from around the globe came to participate in the 14th annual Kilimanjaro Marathon. 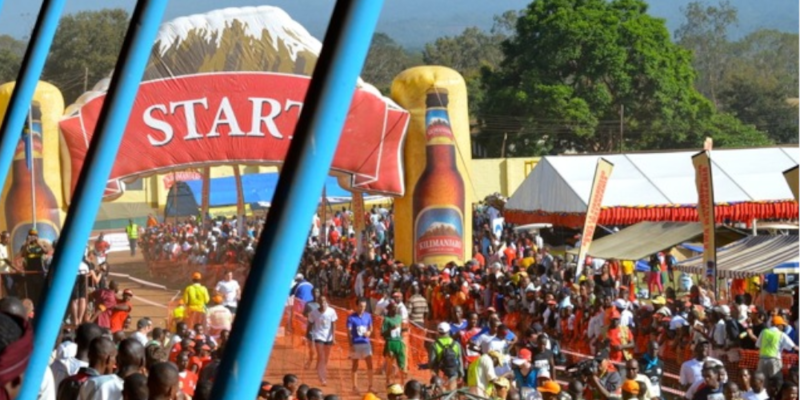 Taking place at the end of February since 2003, the event draws thousands of people to Moshi, the town closest to the base of Africa’s famous Mount Kilimanjaro. During the rest of the year, Moshi’s economy is fueled by tourists and climbers who have come to challenge the world’s tallest free-standing mountain, but today, people have come for a different challenge, entirely. There were four separate races available for anyone who cared to join: the Kilimanjaro Premium Lager Marathon (42 km) started off the festivities at 6:30 AM, followed at intervals by the GAPCO Disabled event (10 km), the Tigo Kili Half-Marathon (21 km), and the 5 km Fun Run. All of the races took place in and around Moshi, with the Fun Run positioned in a different part of town than the rest. Well over 10,000 runners are estimated to have participated in the event, in addition to a large number of spectators. While the marathon brings many tourists and foreign athletes to Moshi, the races are an excellent chance for local athletes to hone their skills and even show off a little in front of their fellow Tanzanians, as it is the largest organized athletic event in the country. To add to the excitement, the locally popular YaMoto Band, performed for the crowd, adding song and dance to the festivities. Far from being a mere local event, the Kilimanjaro Marathon is sponsored by big names every year, this one claiming some of the biggest. Kilimanjaro Premium Lager, one of the largest beer companies in Tanzania; Tigo, the nation’s top mobile telephone company; CMC automobiles; Tanzania Breweries Limited; and RwandAir are just a few of businesses dedicated to helping the marathon become a major athletic event that attracts global attention and respect. Pamela Kikuli, a representative of Kilimanjaro Premium Lager, said, “We are delighted to be the main sponsors of the 42 km full marathon race for the 14th year. We’re very pleased with the turn-out. When we started, we had only 700 participants, but this event has kept growing with the number of participants increasing tremendously every year; last year we had a turnout of 7,000 athletes, but this year the number could reach 10,000.” She went on to say that the top ten winners of the full 42 km marathon will earn prize money, a fact that has begun to garner attention from foreign athletes, as more register every year. Ms. Kikuli hopes that this trend will continue to boost the local economy and help promote tourism in the area. Having finished mere hours ago, the official results and statistics from the races are not yet in, but the success of the event cannot be denied. 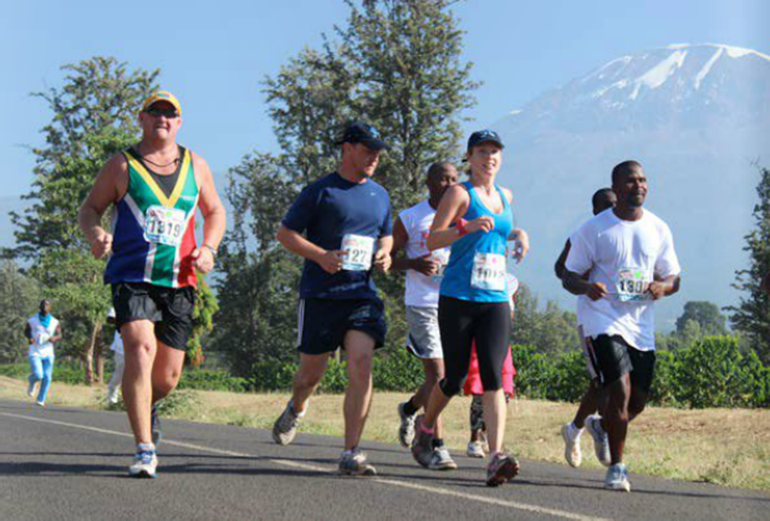 With the growing attention and participation of corporations and athletes every year, both foreign and local, the Kilimanjaro Marathon is definitely something to keep your eye on.